On his second leader album for ECM – following on from the prizewinning Gefion - Danish guitarist Jakob Bro continues to refine his trio project, with its emphases on melody, sound, space, layered textures and interaction. The rapport between Bro and Thomas Morgan (Bro calls him “my musical soul mate”) has become something extraordinary, and often guitarist and bassist develop improvisational ideas in parallel. 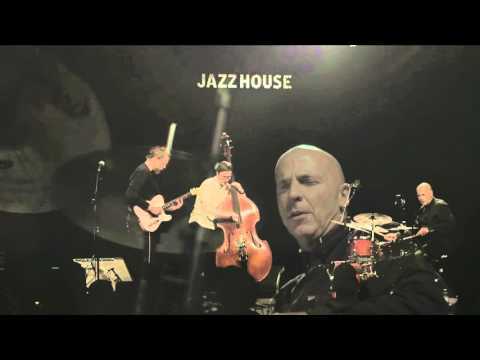 There’s an historical aptness, too, in the choice of Joey Baron as the band’s new drummer, for Bro first encountered Morgan when the bassist was playing in Baron’s band a decade ago... On Streams Joey Baron dives into the music’s detail with obvious pleasure. This recording features five new Bro pieces: “Opal”, “Full Moon Europa”, “Shell Pink”, “Sisimiut” and “Heroines” (heard in both a trio version and a particularly lovely solo version). Completing the album’s repertoire is the freely improvised “PM Dream”, dedicated to the late Paul Motian. Jakob’s approach to melody acknowledges the influence of Motian, and both Bro and Morgan played in the late drummer’s ensembles . Recorded at Studios La Buissonne in the South of France in November 2015 and produced by Manfred Eicher, Streams is issued on the eve of a major tour by the Bro-Morgan-Baron trio with dates in Denmark, the Netherlands, Slovakia, Belgium, Poland, Switzerland, Germany, Austria, Slovenia, Ukraine and South Korea. Jakob Bro, sx., Thomas Morgan, cb and Joey Baron, dr.
Jakob Bro was born in Denmark in 1978. His father had a big band in which Bro began playing tambourine before he could even walk. Later, he switched from trumpet to guitar after discovering the music of Jimi Hendrix. He went on to study at Denmark’s Royal Academy of Music, Boston’s Berklee School and the New School in New York. 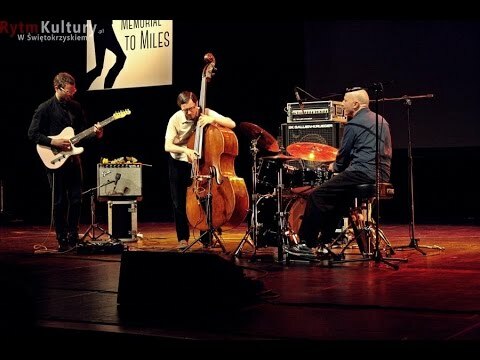 Bro is a former member of Paul Motian’s Electric Bebop Band and continues to play with the Tomasz Stanko Quintet alongside his projects as band leader. His own albums to date have featured an exceptional roster of musicians, including Lee Konitz, Bill Frisell, Paul Motian, Kenny Wheeler, Paul Bley, Chris Cheek, Thomas Morgan, Ben Street, Mark Turner, Craig Taborn, Kurt Rosenwinkel, Andrew D’Angelo, Chris Speed, George Garzone, Oscar Noriega, David Virelles and others. Bro made his first ECM appearance as a member of drummer Paul Motian's twin-sax/triple-guitar band on the late drummer's Garden of Eden (2006). Three years later he returned, this time as a member of Tomasz Stanko's trans-European quintet on Dark Eyes. Finally, in 2015, the label released Gefion, Bro’s warmly received debut as leader of a trio featuring Californian bassist Thomas Morgan and the legendary Jon Christensen on drums. A third ECM trio album, Bay of Rainbows, with Thomas Morgan and Joey Baron will be released in Autumn 2018.